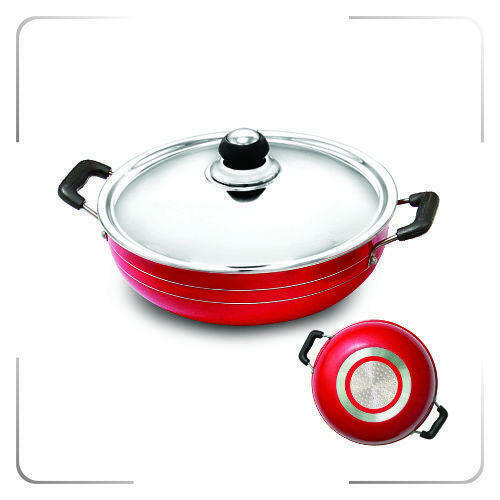 Our company holds vast experience in this domain and is involved in offering Non Stick Kadai. Mahendraa Industries has carved a niche in the market and was commenced in the year 2007 as a Sole Proprietorship. The headquarter of our company is located at Chennai. We are involved in manufacturing and wholesaling a quality approved assortment of Non Stick Cooking Utensils, Pressure Cooker and Pressure Pan Set, Induction Based Fry Pan, Stainless Steel Hot Pot and many more. Our products are highly appreciated for their unmatched quality.